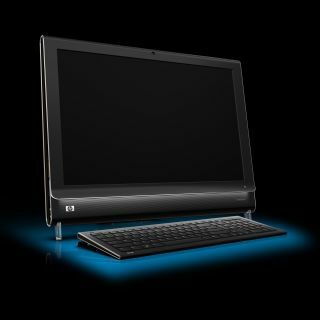 The HP TouchSmart Business PC is an all-in-one, touch-enabled desktop PC for businesses that could also be used in a number of classroom circumstances. The dx9000 model is a 22-inch widescreen, high-definition device with wireless keyboard and mouse that enables users to connect, select, and interact with each other. The PC would work well in a setting with small groups working on a collaborative project such as a science or multimedia laboratory. Pros: Gorgeous all-in-one design supports a beautiful screen with easy to access peripheral ports. Touchsmart software is intuitive. Our students took right to it without so much as a tutorial. Scrolling, tapping, and flipping through files by touching the screen is fun. The student reviewers couldn’t keep their hands off of it (for better or worse!) Working with multimedia software and devices is a pleasure with so much display landscape. Works as a great presentation tool for small groups. Cons: Using the touchcreen technology outside of the bundled product—surfing the Web or using a video software like Flipcam for instance—is not as effortless or effective as when working within the Touchsmart environment. However, this is mainly because most Web sites are not yet optimized for the touch technology. The display will also get smudged in an education setting. Groups working on just one computer may get chaotic, especially with younger children. Overall evaluation: The HP TouchSmart Business PC is an elegant machine that holds great promise. May still be a bit pricey for the average school however.